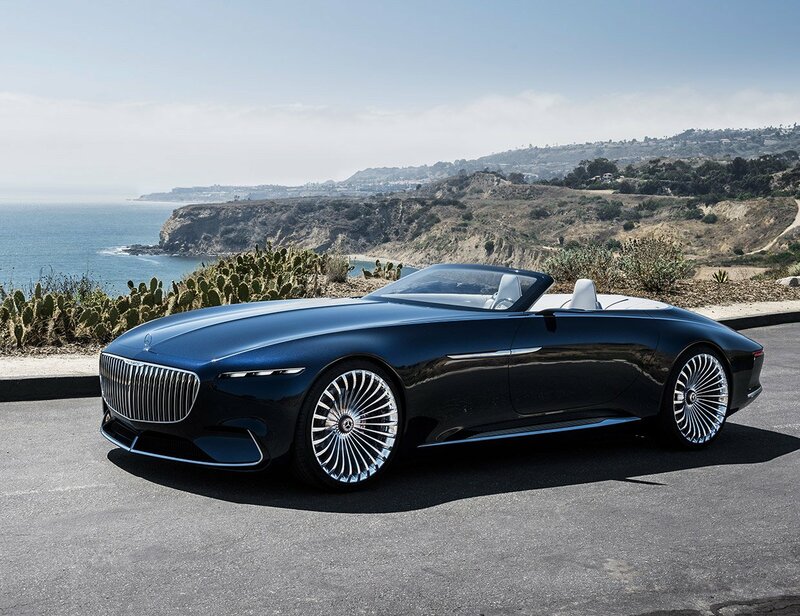 The Pebble Beach Concours d’Elegance brings out some of the most impressive classic and collectible cars you can find anywhere, and luxury car manufacturers love to turn up to the event with their latest concept designs too. 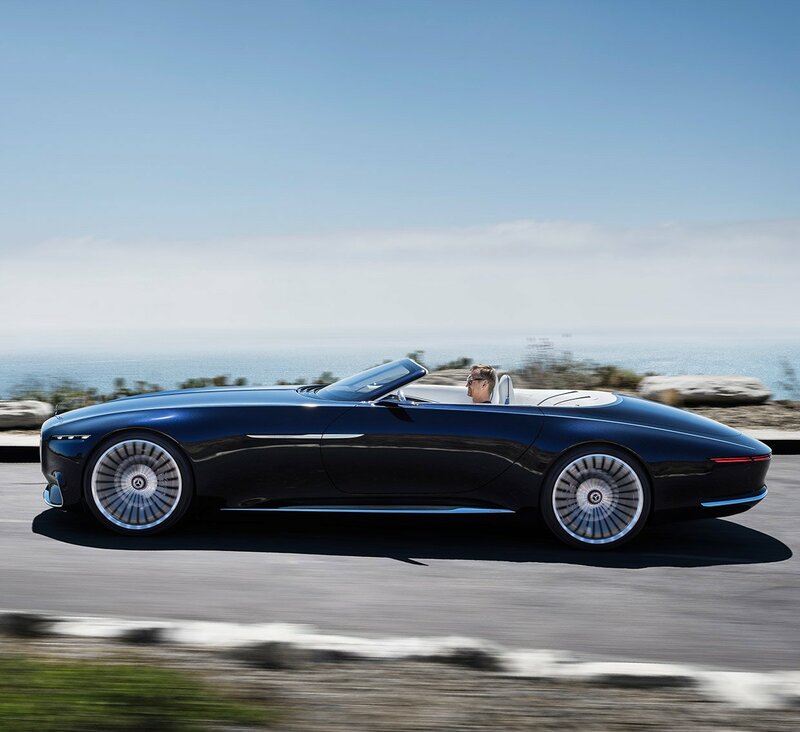 Mercedes-Benz certainly didn’t disappoint this year, when they pulled back the cover on their Vision Mercedes-Maybach 6 Cabriolet. This grand and elegant convertible measures in at nearly 20 feet long, and has a fantastically long hood and low roofline. 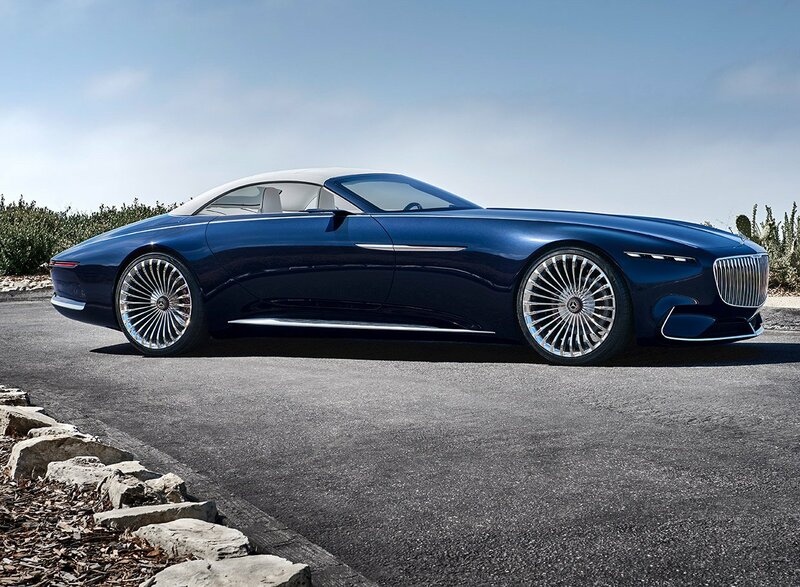 The car is tricked out in a rich Nautical Blue metallic paint, with shiny chrome accents, and a smooth white roof. While it’s not something we’ll ever see on a production car, the center-lock 24″ alloy wheels look amazing. The car is conceived as a pure electric vehicle, with a large, but shallow battery pack located under the floor that provides up to 200 miles of driving range. It’s got four motors, with a system output of 750 hp, or 550 kW, so this thing is designed to be fast. In fact, it’s spec’d to do 0-to-60 in 4 seconds flat, which is quite impressive given the fact that this car probably weighs 2 to 2.5 tons. 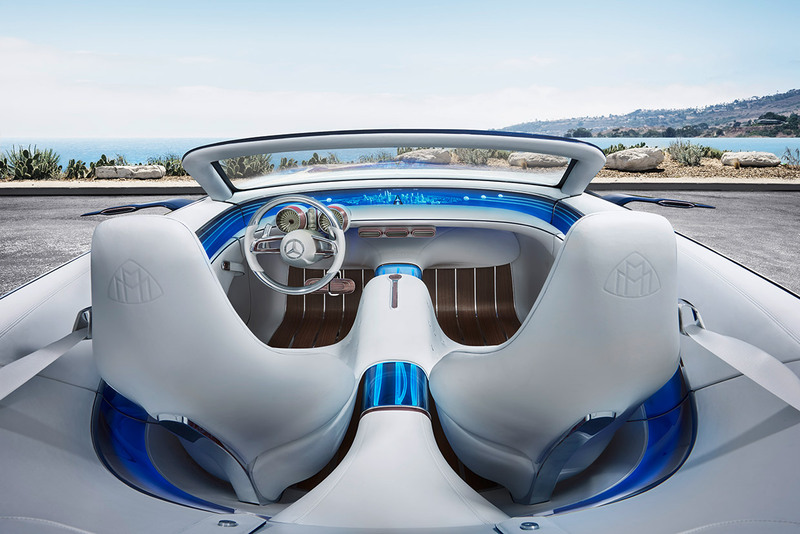 The open and airy interior clearly follows through with the nautical inspiration, and looks more like the controls of a luxury yacht than a car. Every surface is impeccable, with materials like diamond quilted white Nappa leather with button detailing, and an open-pore wood floor with aluminum inlays. Mercedes also included conceptual features like a voice-based Concierge feature which can help perform tasks for the driver, as well as an array of biometric sensors which record (and presumably adapt to) the mood and health of passengers. 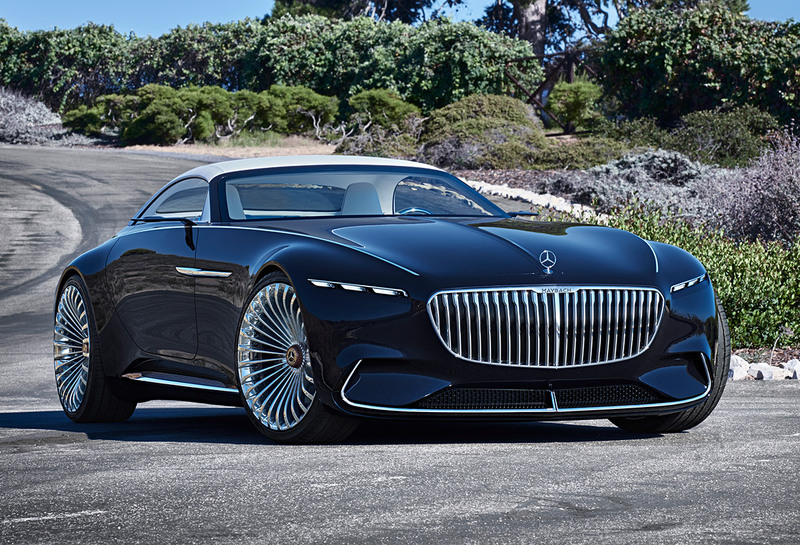 Most of what we see here is the stuff of automotive pipedreams, and will likely never make its way to a production cars, but we might see some of the technology and design language in future Mercedes vehicles.